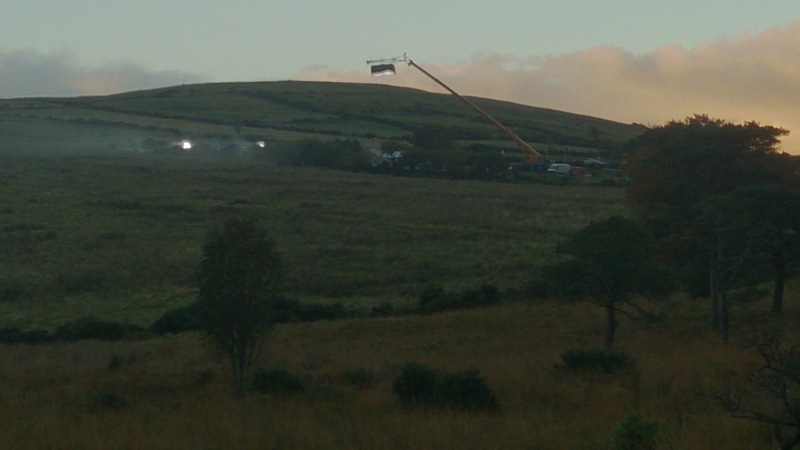 While fans’ attention is focused on Basque Country and the exciting spoilers pouring from filming there, a new Game of Thrones set is quietly springing up in Northern Ireland. 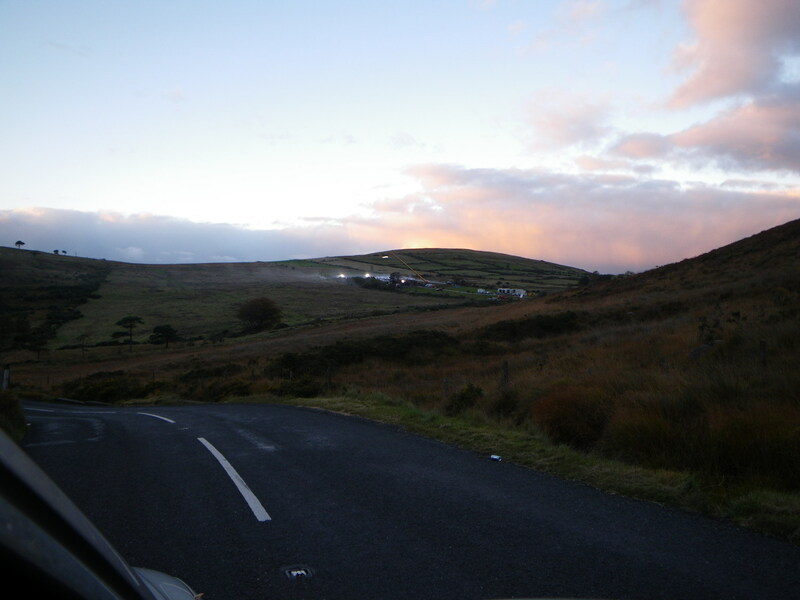 Over the past few days, locals in the area near Newry have spotted action around the Mourne Mountains of County Down. 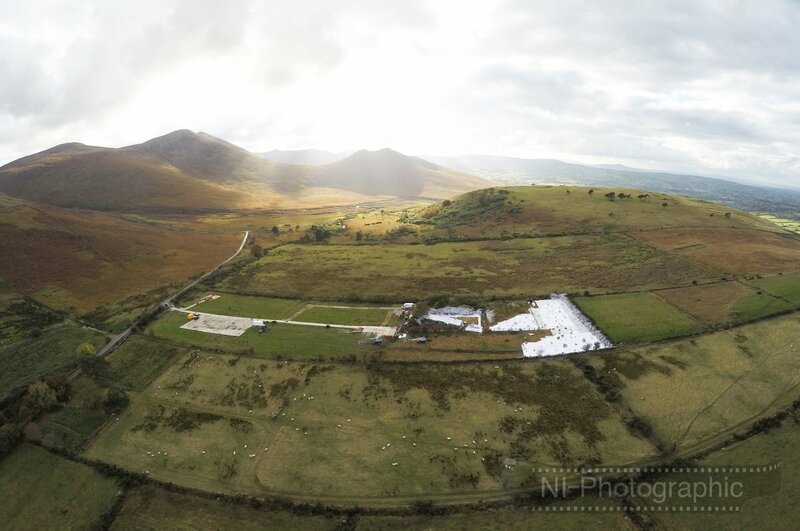 The rolling hills of the Mournes are home to N. Ireland’s highest mountains and have played host to GoT filming several times over the years. The landscape of the Mourne Mountains has proven useful to Game of Thrones for a diverse range of locations, playing Vaes Dothrak in Essos in season 1, and the Riverlands of Westeros in season 4. Now the show has returned, and are constructing a mysterious snowy base on top of the normally green, sprawling land. A WotW reader has shared with us a few more photos taken later in the day after the first few images, from the tweet above. 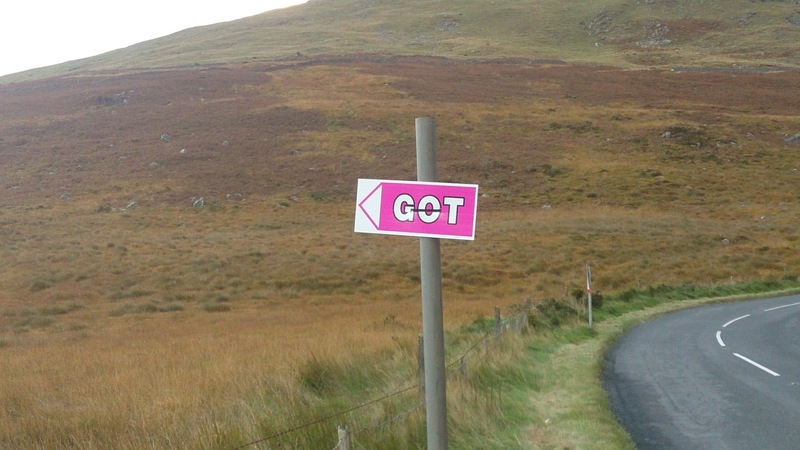 We have the pink GOT sign confirming the show’s presence, and we can see (from these and the photo up top, from the same batch), that production staff worked into the night, creating the new set. So what is this new location? We don’t know yet. 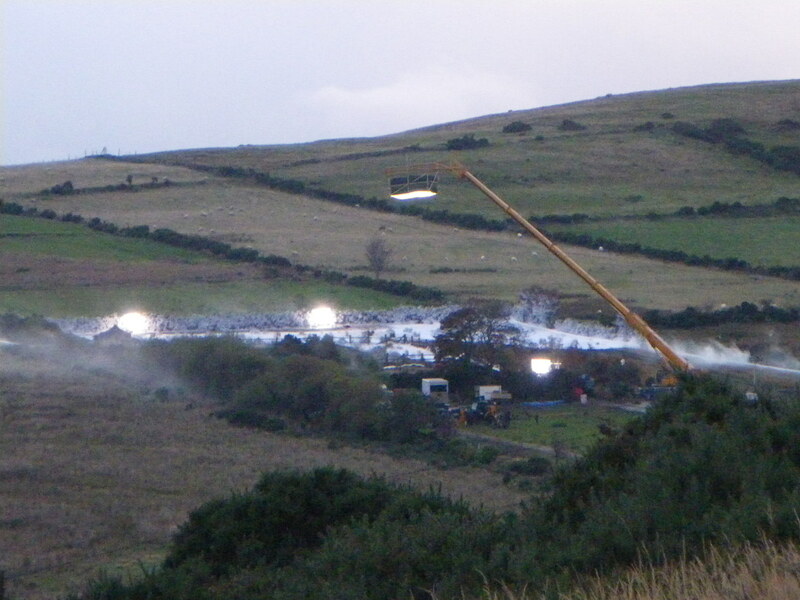 My first instinct when GoT sets up shop on a wide open field is they’re preparing an area for an action scene, set in the North where winter has most definitely come. And we’re also entertaining the possibility that they could once again be creating the Land of Always Winter, the home of the White Walkers, or a place far beyond the Wall where the Night King’s army is on the move. 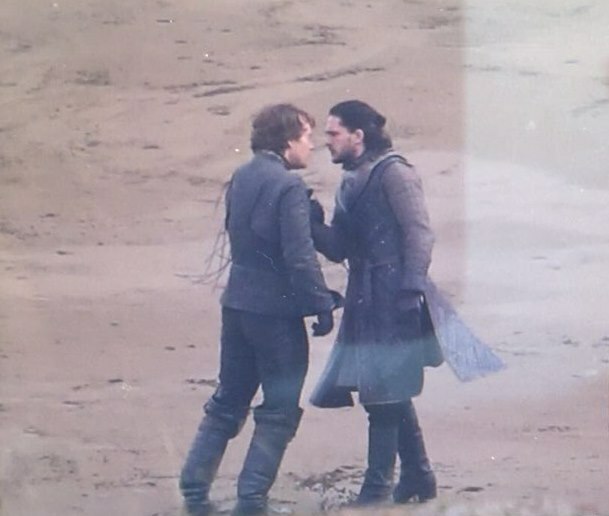 More Jon and Dany scenes, I guess. EDIT: I wonder how the screentime allocation will be next season. Or how they’re going to rotate scenes. Wait, is that going to be Jon and Dany in the North now? Snow comes to the Twins? Why would you assume Jon and Dany are involved? I need to see Bran, Arya and Sansa but I kind of like how ambiguous the Nothern storyline is now given the huge influx of photos the last couple of days. I dont get why people assume it has to do with dany or jon. Can we keep those photos in the other post, please? This post has no spoilers. This is a spoiler-free post, so spoilers from other posts- or other websites- don’t belong in comments unless completely covered. Thanks. *sigh* I just want some Arya news…. I feel like she got pretty short-changed the last two seasons. D&D clearly didn’t think much of her Braavos storyline in the books and didn’t do much to bring it to life. Were it not for Maisie’s incredible talent (and how awesome Essie Davis was as Lady Crane), it would have been fairly unwatchable. Now that’s she back in Westeros, I want to see her FINALLY back in action with a great storyline again! Sorry. I was being sarcastic. Everything right now is Dany or Jon. That’s a huge area of land they’re covering with whatever material they put down before the fake snow. And what are those random piles in the field to the right, they look like bodies, but then they could be rocks from a distance. Do we have any idea how far south the snow will reach in season seven? When I see these pictures, I think they’re moving more rapidly than even I expected! Really like your thinking Sue with the Land of Always Winter! Whatever this place will be, it will be amazing! Just hope we can get at least one pic. Really nice to hear news from the North again. I thought the point of filming later was so they could use natural weather and snow for the North, but it seems they are still creating it so what was the point in delaying a 7 episode season? They actually stated that the reason for the delay was getting grayer weather in the southern locations. Several Spanish articles have echoed this. Jack Bauer 24: what was the point in delaying a 7 episode season? 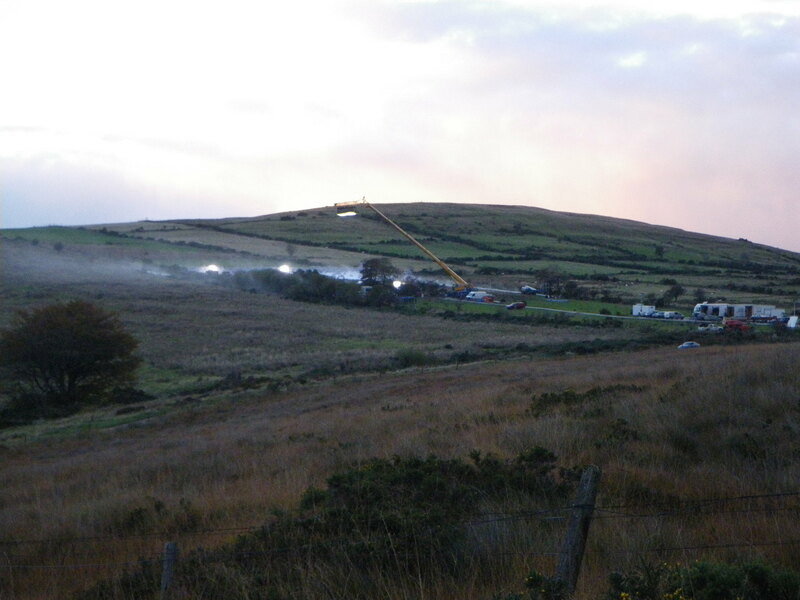 Some elaborate scenes, especially action scenes, are almost impossible to film on a TV budget in difficult weather conditions. So in those cases they just fake the snow. a place far beyond the Wall where the Night King’s army is on the move. Could be for a shot of the WW army emerging from the treeline in front of the Wall. Oh I’m really sorry I didn’t realise it! Won’t happen again. I actually think this might be used for several locations/scenes on both sides of the wall. The field in the centre has a small cottage which looks more Westerosi (or northern) than anything beyond the Wall, with the style of roof and the stonework, but there are other rocky outcrops visible too as well as the wooded area. It might make sense to have all the snow settings in one or two locations for financial/logistical reasons. This could be the WWs and the NK on the march southward – if the Wall falls at the end of this season, their southward progress have to be shown. Or it could be a small party of people going north on a ranging mission, perhaps Watchers, or the BwB. Looking at that little bit of fake snow scattered on the green landscape makes me think of the white horses, the Cerne Abbas giant and other mysterious ancient chalk-soil etchings in the British countryside. They could create some creepy effects by having snow/frost/ice suddenly appear in weird ritual patterns on the ground as the WW army makes its way south of the wall. I agree. Arya has been severely demoted by D&D and it will be worse next season. They just don’t care too much about her. She is my favorite female character on the show. I am hoping now that she is back in Westeros she will have interaction with the northern storyline. The picture we saw of her looks promising, no more Essos rags. She looked like a Stark. Really??? Must you clutter every fooking thread with your whining? 24 comments and two are yours complaining that nobody cares about Arya, WTF? We already saw snow in the Vale , maybe winter is coming to the Riverlands as well.Do we know how South can winter come ? It would be nice to see Arya in Westeros again .I know that as a person she has mature ( she learned to control herself) but if she meets the hound i supect she is going to be even more cocky towards him than before ,now they are more equal ( as killers).These two devils are hillarious!!! My two cents are that this shows the immediate prelude to the onset of winter. Maybe a siege or a battle will break out here as the Walkers try to make their way south. Wouldn’t be surprised if Bran, Meera, Benjen are involved here as the NK tries to track Bran. As we saw the HotU scene feature snow in the Red Keep, I definitely think it is possible that winter could head as far south as King’s Landing, though that doesn’t mean it will, particularly as early as season 7, but I do think it will head quite far south – perhaps engulfing half of Westeros in it. Thanks!What about the Reach .Their power is their blooming land .If winter can reach Highgarden thay are in big trouble.If it doesn’t they can became the most powerful family in Westeros ,since no one had the time to prepare for winter and dragons can’t feed people . Maybe a small battle against Bolton-Karstark deserters.We don’t know what happen to Lord Karstark. Quoting Old Nan: Oh my sweet summer child, what do you know about fear? Fear is for the winter, when the snows fall a hundred feet deep. Fear is for the long night, when the sun hides for years and children are born and live and die, all in darkness. That is the time for fear, my little lord, when the white walkers move through the woods. Thousands of years ago there came a night that lasted a generation. Kings froze to death in their castles, same as the shepherds in their huts. And women smothered their babies rather than see them starve, and wept and felt the tears freeze on their cheeks. So is this the sort of story you like? Good thing the GOT sign is there or people would think some eejit was opening a skating rink, and somebody could’ve been seriously injured by a Zamboni. The Snowball Fight That Was Promised. And Canadians would flock from across the lands…. Stop harassing me and following me around. Yes! We need more info on the Northern (hopefully a WW/Bran/Arya/Sansa/Jon/Wall) storyline. Stating the obvious is not harassment . I follow this site and their posts, not you. Your whiny Arya posts just happen to show up in every thread. If this site would have a feature to let me hide yor user name so I don’thave to reat your posts i wold gladly use it. I’m starting to think this person is just trolling. Maybe we should just ignore him/her, cause this person is probably just desperate to get attention. And there are the WW of cause and may other things. So we have to wait for more information to make more educated guesses. Since I have no idea what a random snowy field in the middle of the forest could be, here’s just hoping that the British tabloids/paparazzi/local residents will get on this game as well and provide us, in due time, with the appropriate spoilers ?. I really love how they are sometimes filming from several miles away ?. The production can’t stop that level of technology. What were you referring to? Can you post the link in the other (spoilers) thread? Ok, I think I must have seen it then. It’s amazing just how much he is smiling these days 🙂 . True. He must really enjoy being somewhere warm for a change xD. Or, like us, he’s very excited for you know what. Yeah, probably a combination of the two. He has wanted the two to meet for a long time now. He normally looks pretty grumpy in his photos lol. And here he is not only constantly smiling, he is even waving out to fans, shouting good night to them! Who knew Spain was such a mood lifter, I will have to visit sometime 🙂 . Would be good to get some NI spoilers, hope Jon’s back North soon. Jon and Theon in not so nice reunion. Newbietothegame: Quoting Old Nan: Oh my sweet summer child, what do you know about fear? Fear is for the winter, when the snows fall a hundred feet deep. Fear is for the long night, when the sun hides for years and children are born and live and die, all in darkness. That is the time for fear, my little lord, when the white walkers move through the woods. Thousands of years ago there came a night that lasted a generation. Kings froze to death in their castles, same as the shepherds in their huts. And women smothered their babies rather than see them starve, and wept and felt the tears freeze on their cheeks. So is this the sort of story you like? I LOVE that story by Old Nan. Her tone reciting it and the story itself should have scared little Bran half to death, but he just wanted more. Thanks for making me remember! If that is meant to represent the trees and snowy ground beside the Wall, then perhaps they could be shooting two scenes – both the fall of it and Bran & Meera moving towards the gate to Castle Black? Those talks about winter and season 7 deferral is a typical corporate bs that they fed the fans. Even talks about summer premiere may be a bs, they are easily ahead of schedule. this set is begging for spoiler photos. Paparazzis can disguise themselves as sheeps. Um, why do you think they would be doing that? And with production finishing in February, there’s no way they are “ahead of schedule”. It is very likely considering the rumors about Isaac and Dolorous Edd filming together at Castle Black. And Meera showed up in NI a few days ago too so I think you’re right. The set looks really impressive, and those huge lights and the fog are definitely stopping me in my tracks, it looks insane. I don’t think I’ve ever commented on here, but I honestly can’t see the point of some people hiding their text behind spoiler tags and then leaving the link open for all to see. It seems a bit mean and underhanded. Surely winter will go ahead of the white walkers, especially if the wall comes down, so scenes shot in Northern Ireland could be anywhere, either north of or south of the wall? The walkers come when it is cold – or the cold comes when the walkers come. (Not exact quote.) But there is snow already on the higher lands such as the Arryn stronghold of the Eyrie in the Vale, and in the North certainly. The cold of the White Walkers/Others is a biting, seizing and much more than ‘freezing’ cold, not just that of the snows of autumn. And also, I think that Iceland (from which we look forward to later filming) has in earlier seasons given us scenes from the Riverlands and part of the North, as well as Beyond the Wall.